Pioneers in the industry, we offer kk:101 tool room lathe machines, high speed precision tool room lathe machine and light duty lathe machine for tool room from India. 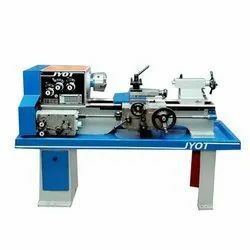 We are offering to our client wide range of KK:101 Tool Room Lathe Machines, We are instrumental in providing our clients a complete range of Tool Room Lathe Machines. This lathe machine is manufactured using supreme class components in compliance with international standards at our well-equipped manufacturing base. 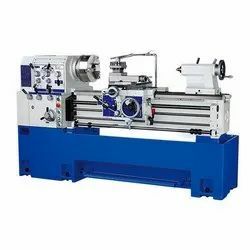 We are offering to our client wide range of High Speed Precision Tool Room Lathe Machine, We are instrumental in providing our clients a complete range of Tool Room Lathe Machines. This lathe machine is manufactured using supreme class components in compliance with international standards at our well equipped manufacturing base. We introduce ourselves as an eminent organization to provide Light Duty Lathe Machine for Tool Room that is used in steel plant, automobile sector and machinery parts. This product is manufactured with the quality-tested component and cutting-edge technology under the guidance of skilled technocrats in compliance with international standards. 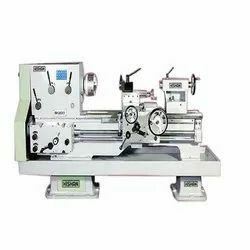 Looking for Tool Room Lathe Machines ?